Whether it’s a slow ballad to get the day started or a classical melody with a cup of tea before bed, music has long been recognized as one of the best ways to de-stress, relieve anxiety, and take your mind away from certain situations. Music can enhance many experiences. From helping runners keep up their pace to helping writers and stay focused. It can even play a key role in mindfulness practices such as meditation. And that’s what we’re going to focus on here in this post. Weaved into the most popular apps, courses and many more meditation practices, meditation music is becoming increasingly popular as a way to derive more value from the sessions. Meditation music was initially introduced to heighten the senses during a mediated state and since then has been further researched to reveal a host of benefits to the practice of meditation. With chimes, bells, instruments being used in traditional Buddhist meditations for many years, the 20th century has brought a host of new composers that have developed scores and series’ of music to accompany meditation practice, composers like John Cage, Lawrence Bell, and La Monte Young have become popular creators in the space of meditation music. In this piece, we’ll be exploring the scientific studies behind meditation music and how it can benefit your sessions. The scientific term given to meditation music is psychoacoustics. Psychoacoustics is, by definition, a branch of science dealing with the perception of sound and how sound affects an experience. Understanding the science behind all of this will help increase your confidence in the practice of mediation and also provide you with a few recommendations to improve the sensations you feel during a mediation session. Unlike popular music, meditation music has been carefully crafted to fit certain meditation practices and provide as much sensory value as possible. Basic meditation music simply provides a way for an individual to go deeper with their meditation by adding a new layer to their experience. Scientific exploration in meditation music has been going on for many years now, providing us with data and insight into how this affects the brain’s activity and mental health of the individual. In the early 70’s the first set of research was conducted by Gerald Oster, a biophysicist passionate about the role sound plays in brain activity. Oster played a one tone with a patient, while a second tone was present in the other ear. He noticed that this created a third tone, which is now named as the binaural beat. Oster believed that sound waves within the brain were “brainwave entrainment” and years on, Oster has continued his efforts to help quantify the effects of meditation music on the role of the brain after this initial discovery. Despite Oster’s exploration, the origin of binaural beats can be traced to 1893 with Prussian physicist and meteorologist Henrich Wilhelm Dove. Binaural beats have been praised as one of the most effective music types to listen to during meditation. Unlike many other music forms, the binaural beats work with the brain to develop a frequency most associated with relaxation. During a meditation session using binaural beats, the resulting frequency lands between 4-8Hz, this frequency is perfect for relaxation. 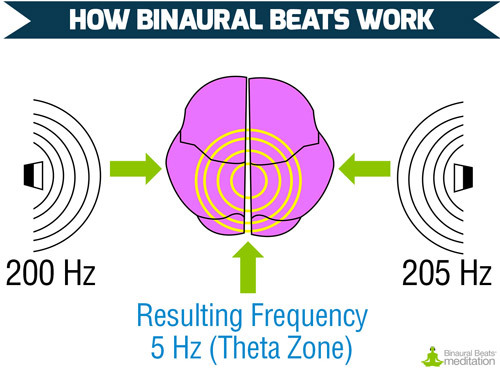 There are five categories that binaural beats can be detected. 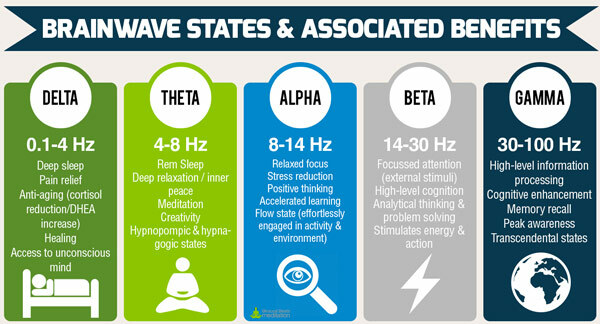 From this table developed by Binaural Beats Meditation, you can see that the “Theta” brainwave state helps develop the best state for meditation and low energy tasks whilst states like “Delta” provide a deeper experience. Binaural beats are the most scientifically explored form of meditation music however there are plenty of other recommendations for people who’d like to get started. Classical Music – smooth and soft to their ear, Classical music can be used to relax those looking to meditate he long them to develop effective concentration during the session. Try the ever-popular Mozart to get started! Gregorian Chanting – Chanting has been used for thousands of years, and dates back to 900 – 1300 CE. Gregorian chanting sounds (example) and helps people to gain a state of focus and energy during their meditation. Primordial Sounds – This choice of music is a form of chanting which helps people to achieve a mindset and state for meditation. Originating in India, the most popular primordial phrase is “om”. Nature Sounds – Very simple, nature sounds from different places can be used to meditate, this is one of the more known forms of music during meditation and provides an effective calming outcome. Music inside of meditation apps is now becoming very popular, yoo. The selection between guided voice meditation and solely music puts the decision in the user’s hands, allowing them to choose what works well for them. Do you use music to aid meditation? 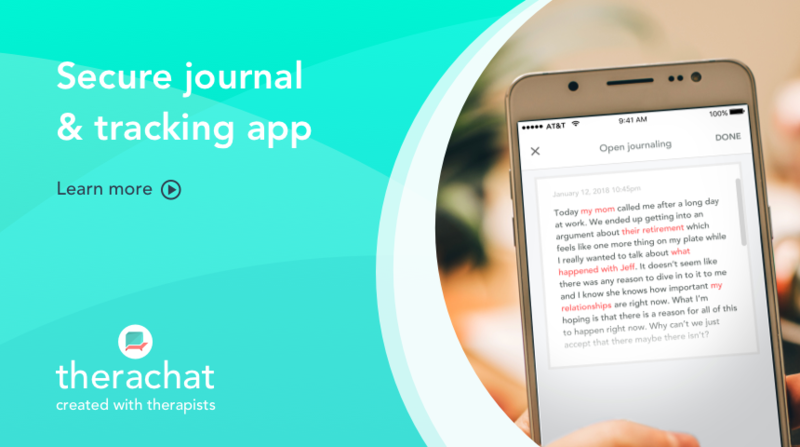 We’d love to hear your experiences in the comments. 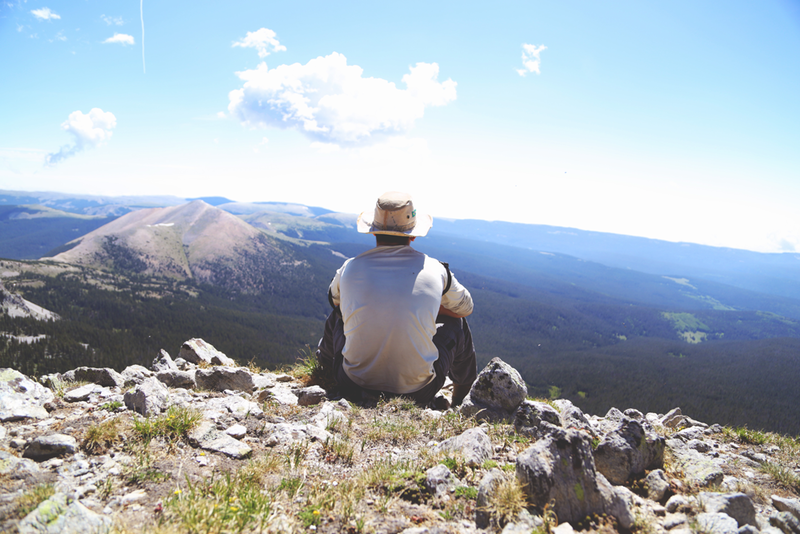 Read more: Check out how guided meditation can help anxiety. Excellent post!. Nice sharing about the scientific studies behind meditation music and benefit your sessions. Thanks for the kind words! Happy you enjoyed it and found it useful.